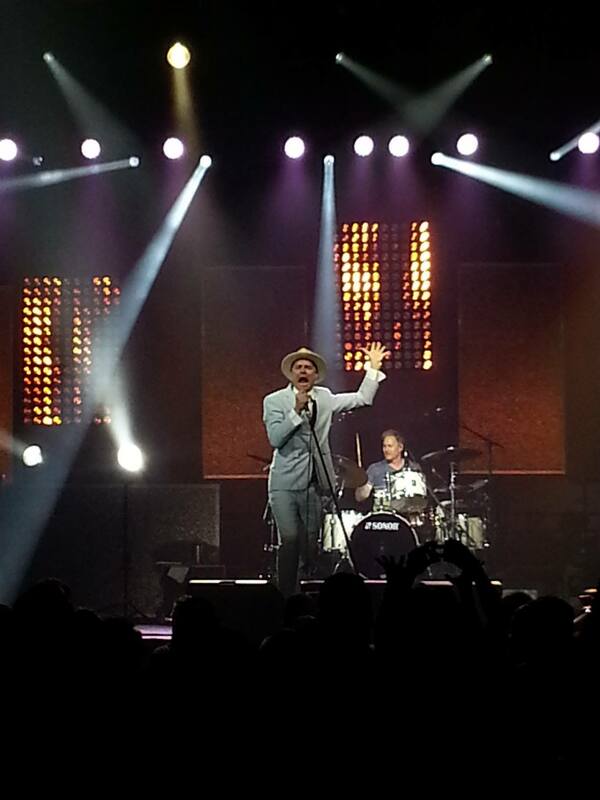 Saw The Hip in concert last night in Cobourg. Before the happy rant, how about the setlist? Gord Downie. How does one describe Gord Downie to anybody who has never attended a Hip concert? I’m not sure it can be done. I want to say he’s a cross between David Byrne of the Talking Heads and Jim Carey of the Jim Carey. But that doesn’t quite capture the uniqueness that is Gord Downie. He’s basically a cross between Gord Downie and Gord Downie. Last night he was in full SOUTHERN GENTLEMAN PERSONA. His handkerchief was a fine prop. He used it both to wipe away his perspiration and to dust off any seat he chose to take about the stage. And he also used it for his feats of death-defying hanky magic as he fought with his mic stand. The man is a walking piece of performance art. He writes some of the best lyrics in modern music and he tells a story every time he sings a song. It’s no wonder his stage presence is so unutterably powerful. delivering metaphorical, but one star at a time. If you ever get the opportunity to take in The Hip, don’t turn it down. They are Canadiana at its best. Previous Post When You’re Sleepless, Madness…er…Magic Happens!